Area wrestlers kicked off the 2018-19 high school winter sports postseason on Saturday with the Dual Team Tournament regionals, and area swimmers and divers begin their postseason trek this week at sectional meets. The wrestlers competed Saturday in the usual dual match format with each regional across the state sending one regional champion to the state final eight in each division. The traditional individual wrestling tournament gets started the weekend of Feb. 23 with sectional tournaments. 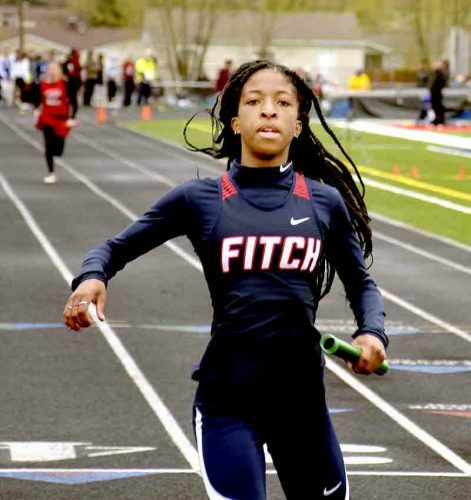 Qualifiers go on to district competition the following week with the state meet scheduled March 7-9 at Ohio State’s Schottenstein Center in Columbus. Swimmers and divers compete this week in sectionals at the University of Akron, CT Branin Natatorium in Canton or at the Spire Institute in Geneva. Qualifiers advance to district competition the following week at Cleveland State, then the state swimming meet is scheduled Feb. 20-23 at Canton. Area Division II bowlers get their postseason going next Sunday with sectional competition at Freeway Lanes here in Warren. The Division I sectional for area schools is Feb. 15 at the Stow Kent Family Entertainment Center in Stow. District competition in Division II is Feb. 17 for girls and Feb. 18 for boys, both at Buckeye Lanes in North Olmsted. The Division I districts are Feb. 23 for girls and Feb. 24 for boys, both at Roseland Lanes in Oakwood Village. State competition in bowling is March 1-2 for Division II and March 8-9 for Division I. Both meets are scheduled in Columbus. Girls basketball brackets will be revealed later today with the boys brackets coming out a week later. Sectional tournament play — the first two rounds — again will be played at the site of the better-seeded team. After that, teams must win through two games at the district level and two at the regional level to reach the state final four. Girls sectional games are scheduled Feb. 16 and Feb. 21 in Divisions I and II, and Feb. 20 and Feb. 23 in Divisions III and IV. District games are scheduled the week of Feb. 25-March 2, with the regionals played the week of March 4-9. The girls state tournament is March 14-16 at the Schottenstein Center. The boys sectional games are scheduled Feb. 27 and March 2 in Division I, and Feb. 26 and March 1 in Divisions II, III and IV. District games are the week of March 4-9 and the regionals are played March 12-16. The boys state tournament is scheduled March 21-23 at the Schottenstein Center, just in time for the start of the spring sports season. The boys tennis season officially begins in Ohio on March 22 and the baseball, softball and track & field seasons start on March 23.